A drift-free thermometer designed to overcome the adverse environment of a continuous caster spray chamber, SP utilises AMETEK Land’s accurate short wavelength processing to ensure a reliable measurement – even in the hottest and harshest conditions. Requiring no electronics be located in the spray chamber, and needing no water cooling to operate, SP’s resilient measurement solution gives trouble-free operation with only minimal maintenance requirements. Easily installed using a waterproof, fibre-optic light guide, a high efficiency air pressure purge keeps the lens clean while the System 4 Landmark Classic/Graphic signal processor provides power and signal processing to filters out potential errors from water and steam. Available in a range of models customised to specific temperatures, wavelength and optics requirements, the SP provides the steel industry a reliable, accurate solution for this challenging application. Easy to install and operate, the only service required is an air line connected to the sighting tube, to provide a robust, purged sighting path from the thermometer to the slab surface. The SP offers precise temperature measurements to suit individual process conditions, with nine temperature ranges available spanning 600 °C (1112 °F) -2600 °C (4712 °F). Because no electronics are located in the spray chamber, the thermometer produces accurate results despite the hostile conditions. The light guide is protected by a narrow thick walled outer tube, and the field of view is kept clear by an air purge system. 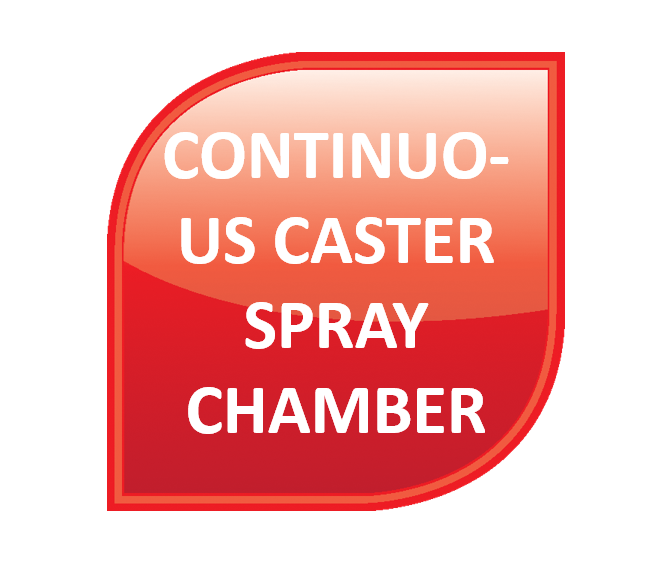 The SP is AMETEK Land’s trouble-free thermometer for temperature measurements in the continuous caster spray chamber. The spray chamber cools the steel as it is cast. The environment here is extremely hostile, with high temperatures, high-pressure water sprays and steam. Solution: the dedicated Spray Chamber Probe.